Enjoy a better sound experience on the go with the newly designed LG TONE PRO, featuring advanced quad layer speaker technology for outstanding, well-balanced sound quality. Plus, with dual MEMS microphones it has never been easier to enjoy crisp and clear calls. 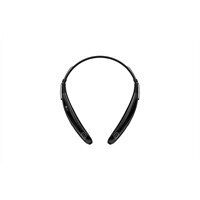 As a premium Bluetooth wireless audio headset, the LG TONE PRO boasts smarter features such as voice memo, find-me and tone & talk for seamless control. The sleek, hidden magnetic earbud design is as practical as it is powerful featuring fine, low-profile wires for durability to ensure your device can deliver the best audio experience when and where you need it.